We would recommend calling us if you would like to order our soft perishable Lovesticks. You will get an email confirmation once your package ships. 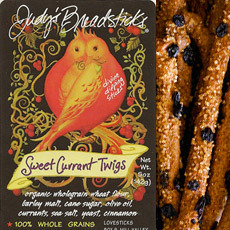 Twigs - Sweet Currant - 5oz. 100% ORGANIC WHOLE GRAIN, VEGAN, CRISPY, ORIGINAL & HANDMADE WITH LOVE. 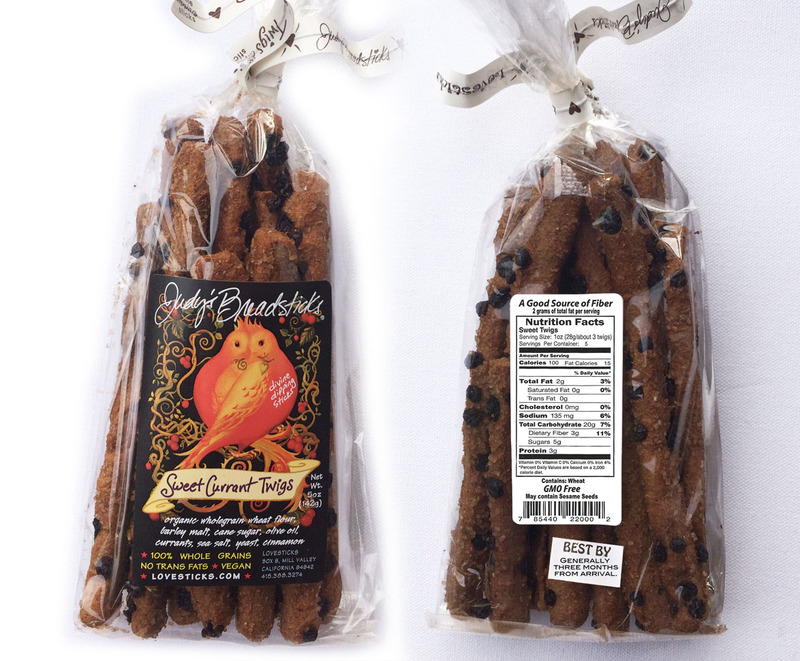 INGREDIENTS: Organic wholegrain wheat flour, barley malt, organic sugar, olive oil, currants, sea salt, yeast, cinnamon.